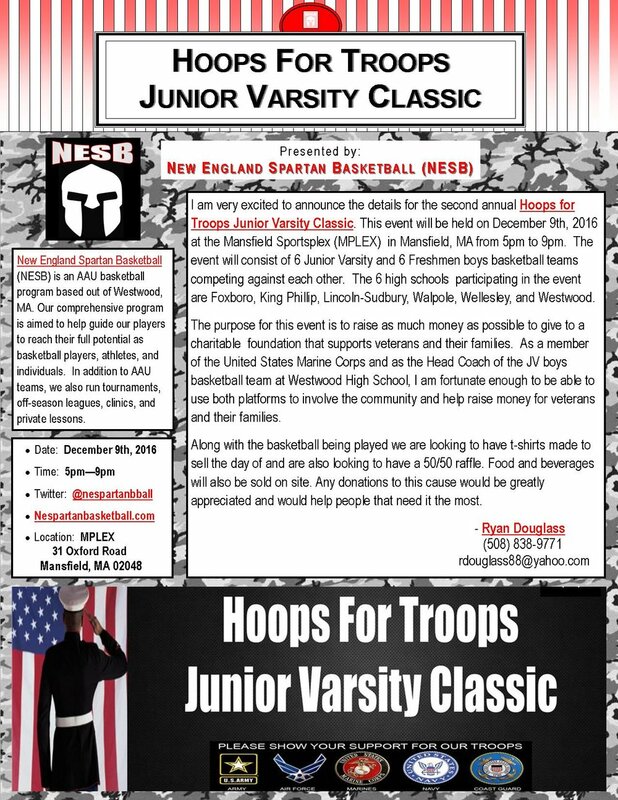 We are proud to announce that the 2nd Annual NESB Hoops for Troops Junior Varsity Classic was a great success and we are already looking forward to hosting our 3rd Annual NESB Hoops for Troops Junior Varsity Classic this upcoming December 2017. Please click the "DONATE" button below if you would like to donate money to the cause. If you would like to donate a raffle prize for the event, please email us at nespartabasketball@gmail.com. Please see the flyer below for more information on the event. Click HERE for more information on our previous NESB Hoops for Troops Junior Varsity Classic events.